Everyone knows about Christmas tree, but ever heard of a Halloween tree? These Halloween decorations are all the rage right now, so encourage your child to construct this Halloween tree out of paper. Who knows...maybe there will be some presents under it on Halloween night! Here are some Halloween ornaments to get you started. 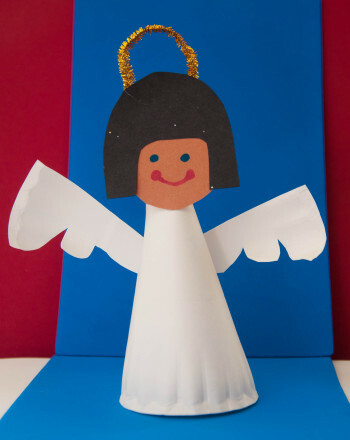 These printable paper Halloween ornaments are great for dressing up a Halloween tree, or just to hang around the house. Tree climbers and tree huggers alike, learn the basics of reading tree rings to find out about the life of a tree. 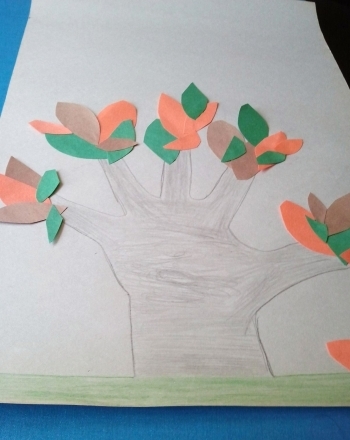 Even the trees are getting into the Halloween spirit in this spooktacular coloring page. Christmas Tree Game: Decorate the Tree! This Christmas tree games gets your kids to race to decorate their Christmas trees. Play this Christmas tree game with your kids this holiday season. 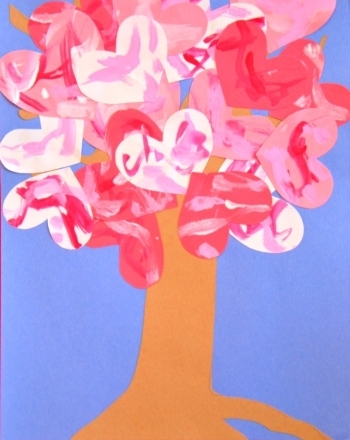 Create a little magic with this special craft that transforms a regular paper tree into a Valentine masterpiece. Meet the orange-thighed tree frog and color it in to match the description of its colors that are listed on the worksheet. Bats around this haunted tree and need help with missing numbers between 70 and 76! 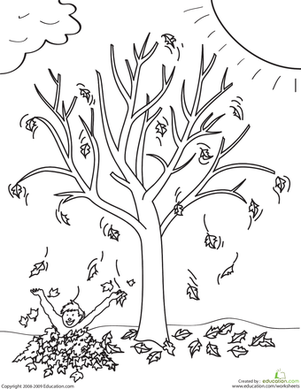 This fall tree coloring page features a kid playing in the fallen leaves beneath a tree. Have your red, orange, brown, and yellow crayons ready!